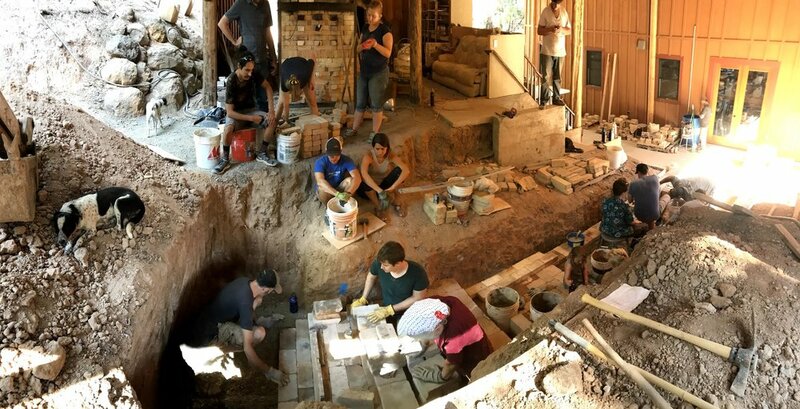 This class is designed to address all levels of handbuilders. 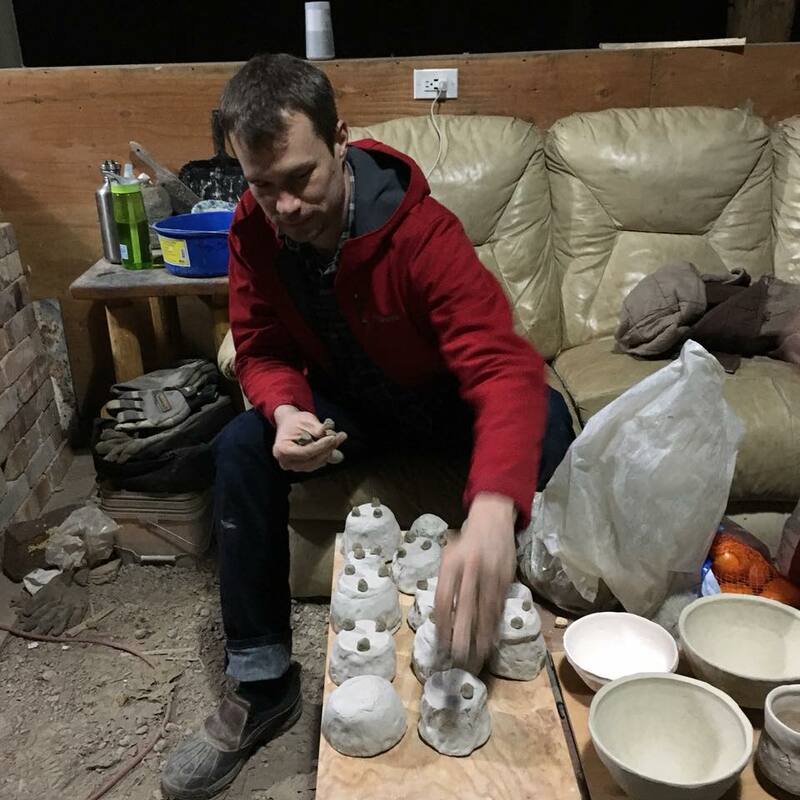 Whether you are new to clay or a well seasoned maker come learn new techniques and skills. 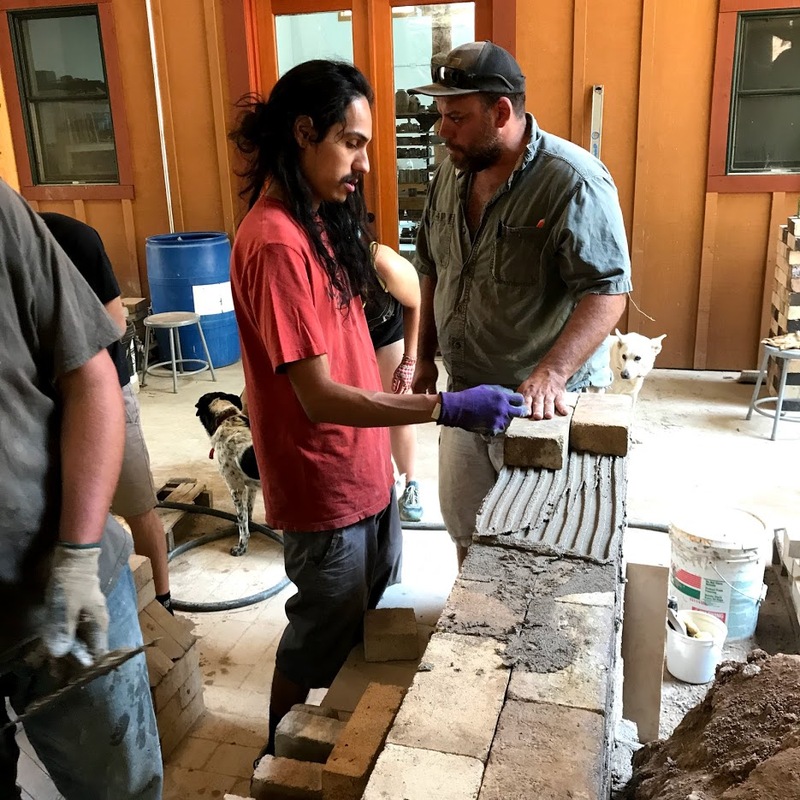 Students will learn a variety of handbuilding techniques to make mugs, planters, birdbaths or whatever you can dream up. 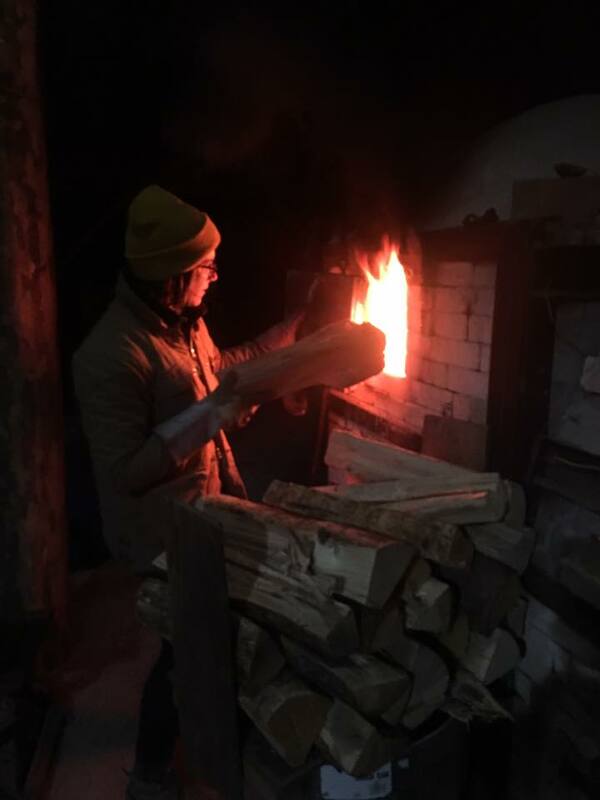 Work will be fired in our gas kiln and students will have the opportunity to get work into our soda and wood kilns. This class teaches kids, ages 5-18 years old, basics handbuilding skills and allows for playful exploration of materials and ideas. Private lesson available. 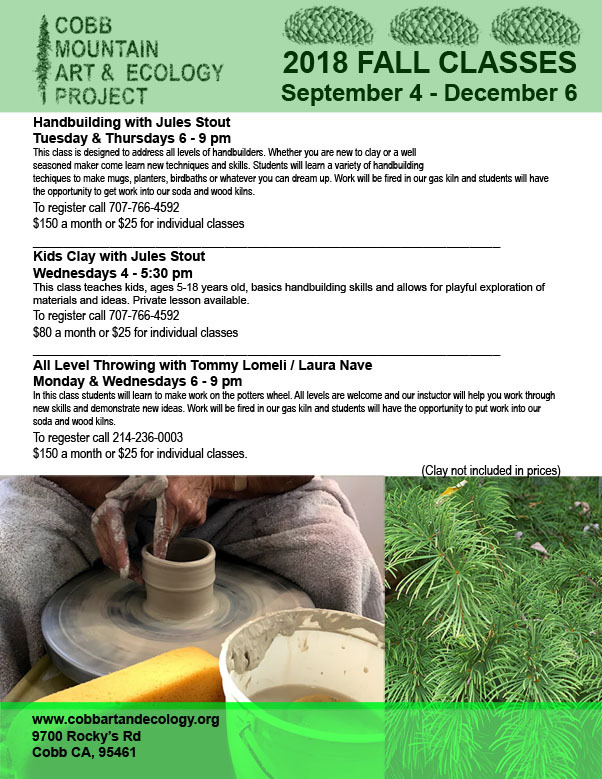 In this class students will learn to make work on the potters wheel. All levels are welcome and our instructor will help you work through new skills and demonstrate new ideas. 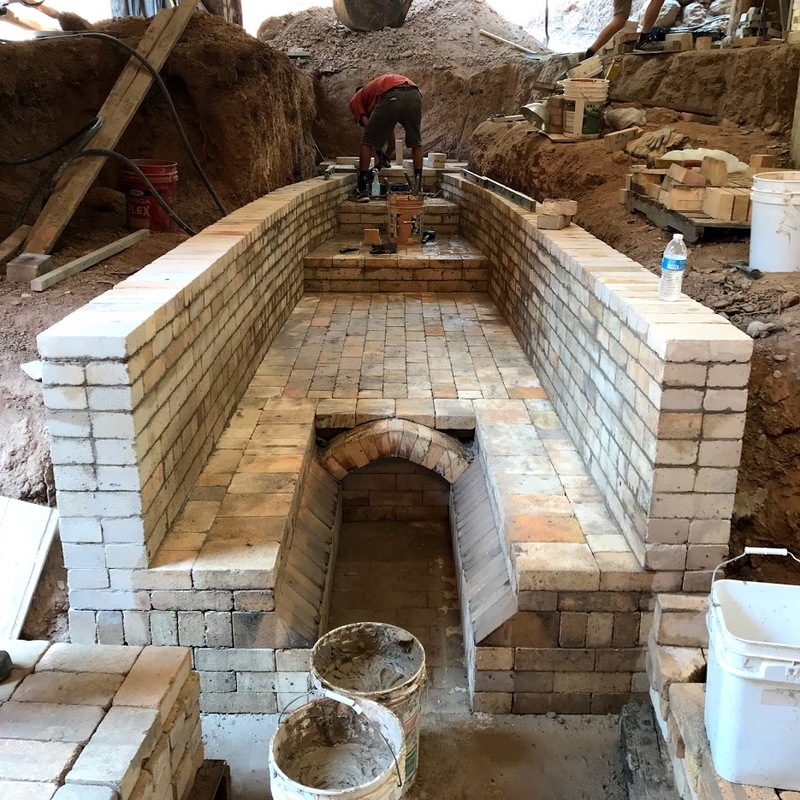 Work will be fired in our gas kiln and students will have the opportunity to put work into our soda and wood kilns. To register call 214-236-0003 $150 a month or $25 for individual classes. 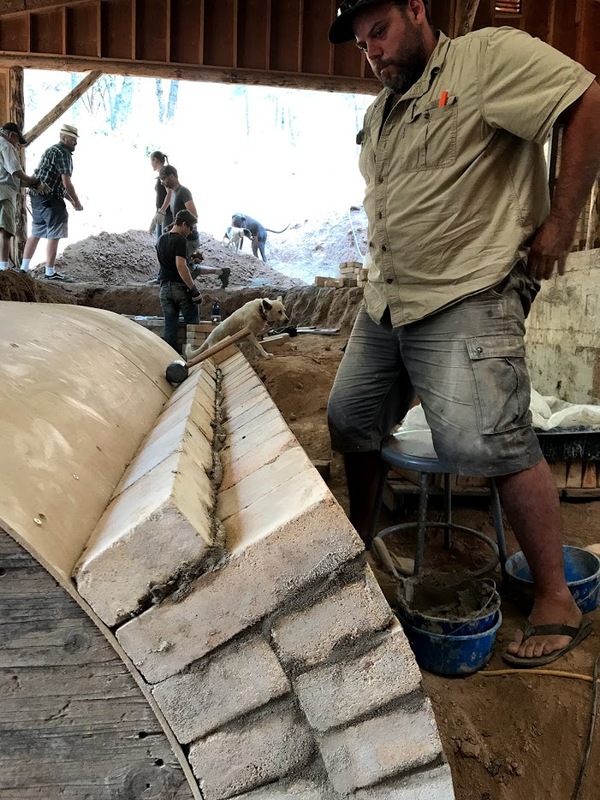 Last week we started building our long talked about anagama kiln. We had a great crew with a variety of experience acting under the direction of Scott Parady and Nick Schwartz. 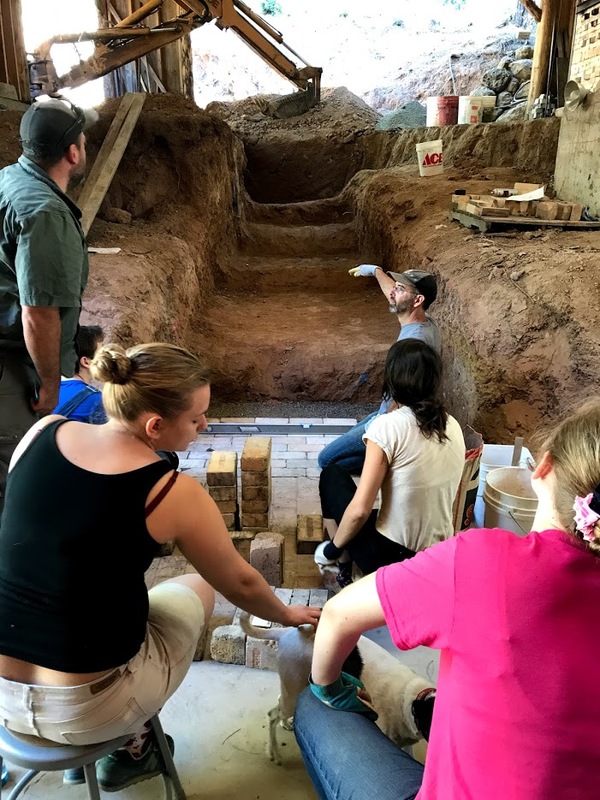 During the seven day workshop students excavated and leveled the foundations, laid the floor, build the floor, firebox, walls, arch form, base of the stack, and got about a third of the way through the arch. 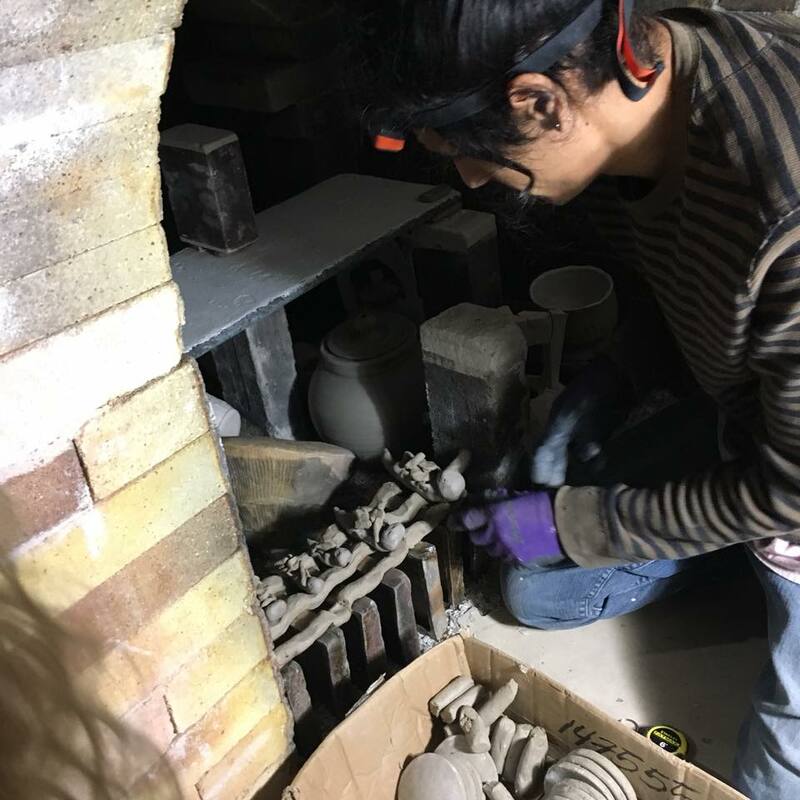 There is still plenty to do at the moment and we are working on the kiln bit by bit with the goal of firing in early January. 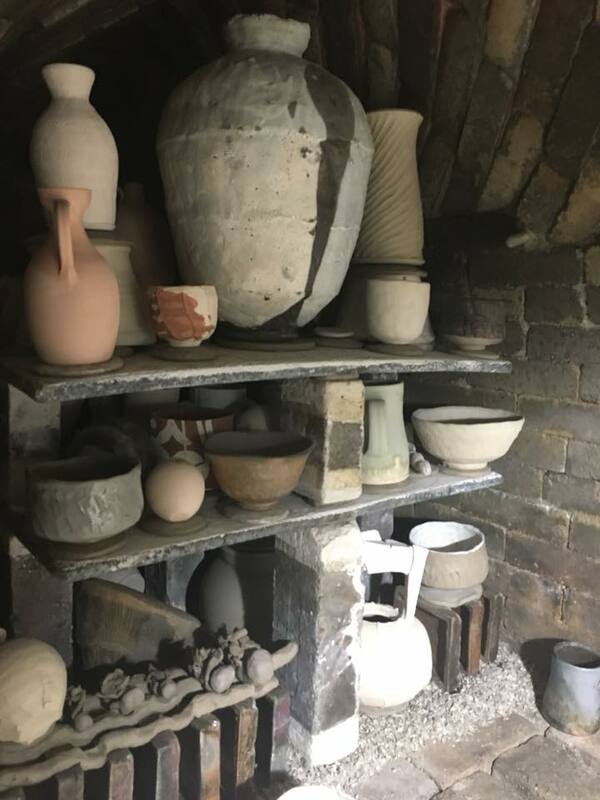 The kiln itself will have a ware chamber that is around 20 in depth with a maximum width and height of around 4.5 feet. There is a secondary chamber being built into the stack to help reduce smoking. 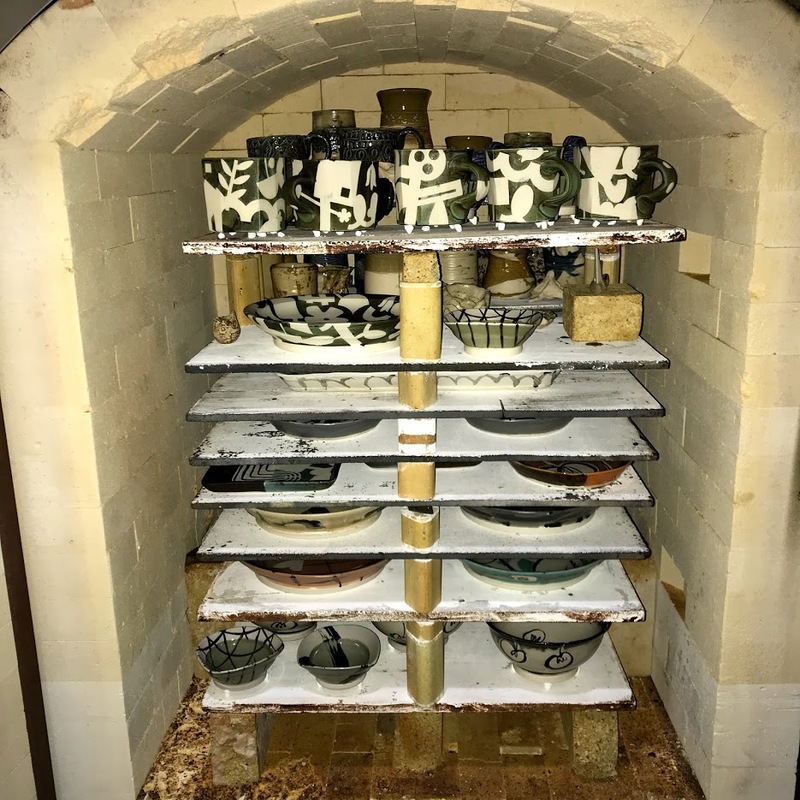 We will update photos as we continue to work on the kiln. 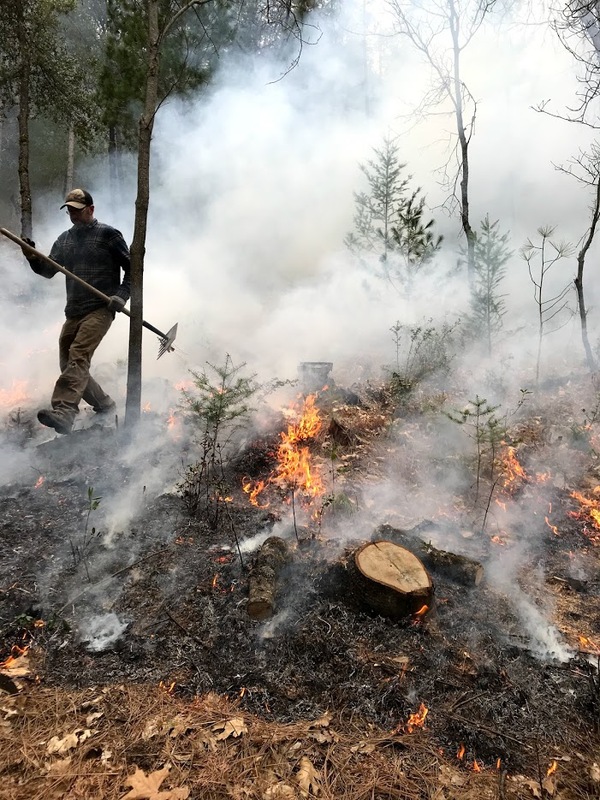 We're still getting a little bit of the winter weather but we have our seedlings started and have been working on getting the property ready for the summer by cutting in new fire breaks, clearing undergrowth and low limbs, and doing ground burns all as fire prevention measures for the summer. We have also been firing off our kilns and getting the upstairs living area ready for flooring. We are looking forward to a new group of residents coming in later in the year and have a studio sale and open house planned for May 19th & 20th, more to come on that in other posts. We are also staring up classes again. 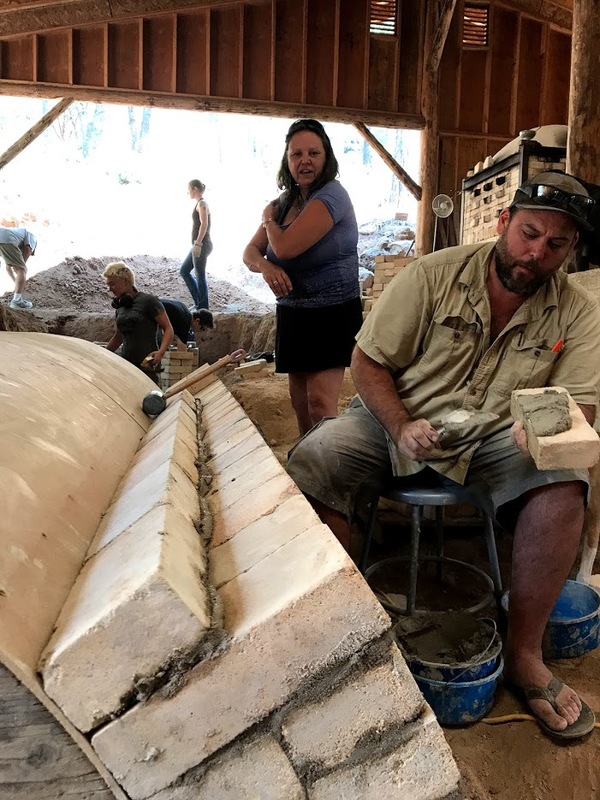 This month Jules Stout has been teaching a kids class and a adult handbuilding class. Our classes will continue through the summer and into the fall. Here are some photos that Artist in Residence HP Bloomer has taken over the last few months. Its been a busy week here. We have had nearly 6" of rain or snow in various combinations over the last two weeks and everything is saturated. Thankfully we with a break in the weather since Thursday, we have been getting some work done around the property. We purchased 6 lambs this week which Elliott will be raising until April or May and then selling off for meat. Because of these new guests on the land we constructed a larger livestock pin. Elliott, HP, Sierra & Mitch put up a 65 foot by 20 foot enclosure over the last couple of days. This enclosure which is next to the main garden will be home to the sheep as well as Freckles and Ramsey, our two goats. Scott continued the finishing of the Aquaponic garden and Koi pond. The last several weeks have been dominated by work on this project. 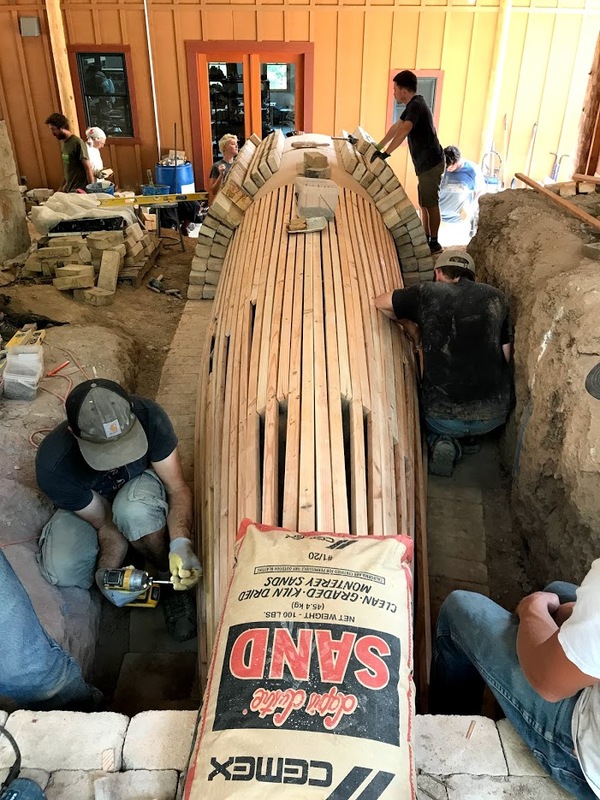 The final waterproof coatings were added several weeks ago and with every break in the weather, rocks were cut to fit and plans made for final details. 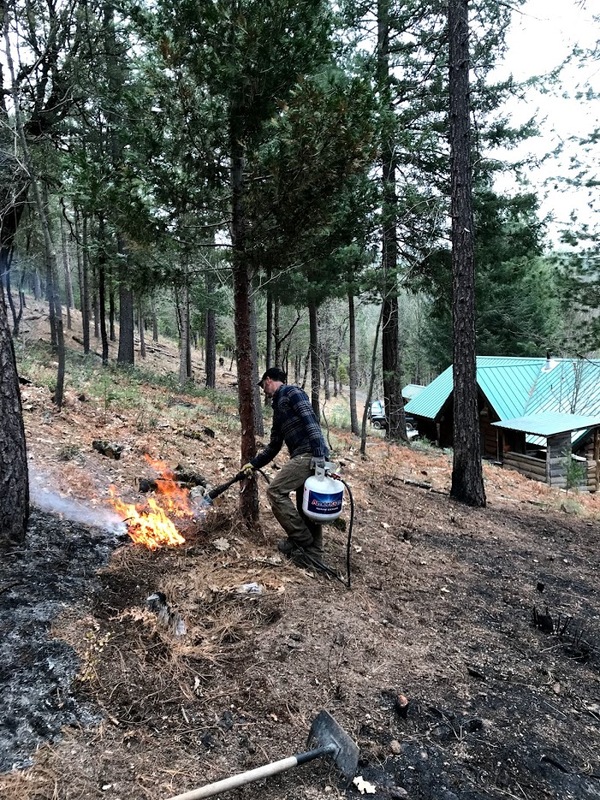 Scott and all of the residents, as well as a few helpers from Sacramento, have been diligently and tirelessly working on mortaring everything in place since Thursday. We very much look forward to the completion of this project. 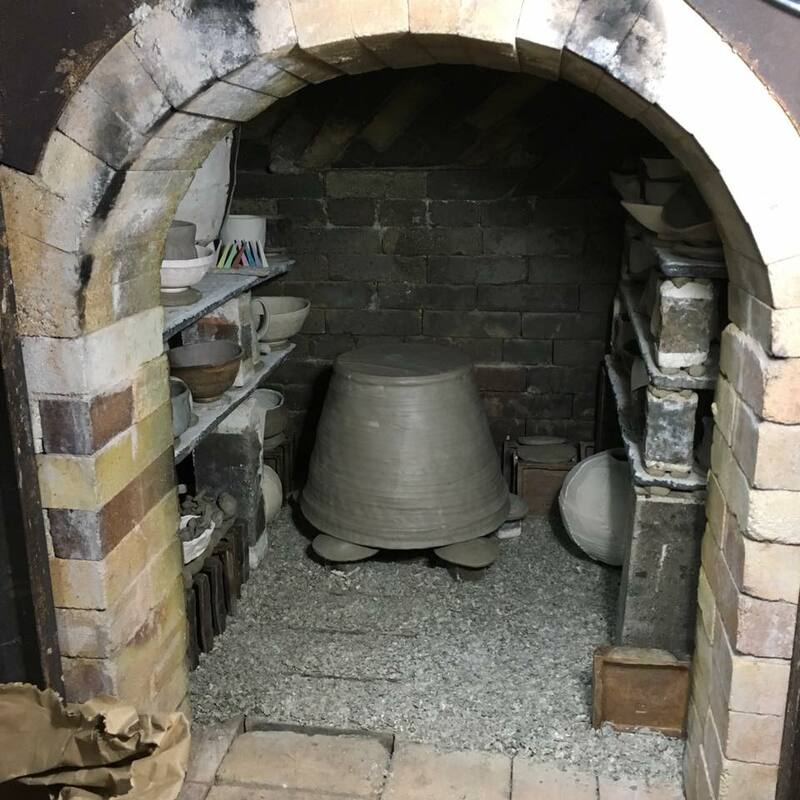 In other news around the studio, the soda kiln was also fired for the third time by resident artist HP Bloomer. It seems like it was a fairly successful firing that used both wood and gas. We will also hopefully be changing out the orifices in the Bailey gas kilns this week and getting them up and running. Week one concludes and a months worth of work rests below the subfloor. The studio build captivates our attention, I'm fresh but the crews seasoned and knowledgeable. 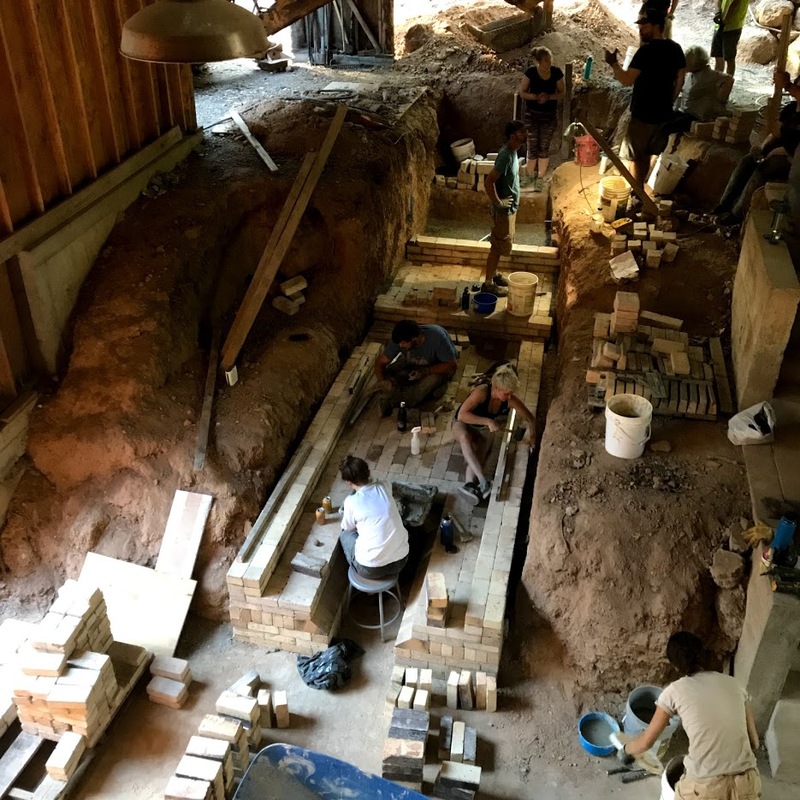 Progress and discovery mark our days: a solution to each problem, a plumb to every corner, limits rarely surface on the Cobb mountain Art and Ecology project. We open our week leveling the parking lot. Scott dumps dirt, dust and clay, then pulls, pounds, and shapes the slope. He's a man on a mission. His tractor skills suggest a lifetime of midwestern corn sowing. The work ethic too, sun up to sundown and a humble and calm focus. The results resemble a smoothly arched, low bowl, a gradual grade relating to the land. A boulder wall landscaping event occupies our Monday. Massive rocks meet the western corner of the studio. We chain lithified monsters to oversized machines. Again, Scott showcases his tractor skills and I'm receiving a lesson in moving heavy objects. The rocks rap the corner, strange shapes, yet a fine form emerges as dusk draws near. Dinners time... A family gathers around the table, incredible veggies, pastas, salads, and dressings. The spices too. Lori crafts meals with attention, play, and passion. Her world travels on display in Cobb Mountain, California. The furthest place I'd expect pumpkin curry, but it's undeniable. My milk tastes better in a wood fired yunomi, and a polar bear plate makes an appearance for a tofu Asian stir-fry. A suggestion of how people once ate, gathering, sharing, every bite savored, and smiles greet each face, a refreshing ritual. The week continues with framing. Cutting boards and plumbing corners. Efforts always 100 percent between the forest floor and the clear blue sky. We extract a 30 foot oak log and begin grinding and sanding. It's a half days work, a floors worth of sawdust, and a finely contoured and smoothed log. We spend the afternoon framing walls and set our eyes on the prize. Raising the oak log won't be a simple task, but a solution exists. 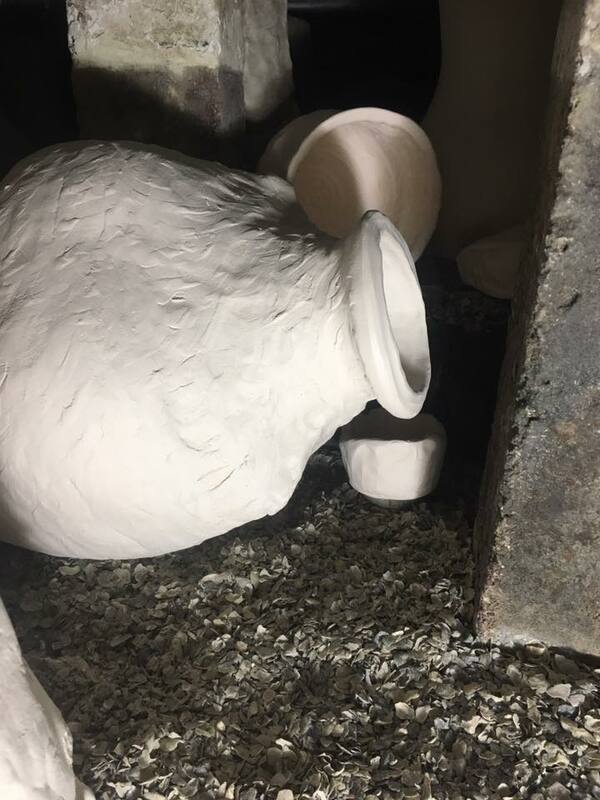 Reminisant of moving big sculpture into kilns, we're experienced in the field, cautious and methodical, we approach the beast. The end of the day looms, but the teams determined. A fourth quarter effort from a well conditioned team. The log straps to the bucket and Scott hoists half a ton of tree. We place the foot at the pin and position the scissor lift. We keep it level as a strap attaches to the top of the log. Slowly, the log lifts skyward. We're wedging with 2x4's and long braces. Elliot's ATV turns the corner and we attach the wench to the top. Our plan becomes a realized vision as the log pivots straight. We breathe when the hole fits the pin, and a gift from the forest now stands as the center support for the future. Another amazing meal wraps our day. Beans and goat cheese fill the contents of a flour quesadilla. Everyone's exhausted tonight, but substantially relieved in our operations success. No breaking is no breaking. Another day of framing. Big crossbeams connect the studio laterally and we begin placing our joists. The studio site resembles a small lumber yard. 2x4's, 30 foot I-joists, and plywood stacks shoulder high, Parady Lumber Inc, but we make a dent in the pile. I've forgotten to mention the thermometer readings of plus 90 Fahrenheit. No matter, we wear hats and camouflaged tank tops, drink lots of water, and work through the hottest parts of the day. As the week concludes, we're placing the subflooring. Glue, plywood, and nails find a place. This side up and we walk gingerly atop the joists. Again, no room for mistakes and Scott hammers each piece as Elliot uses his nail gun. 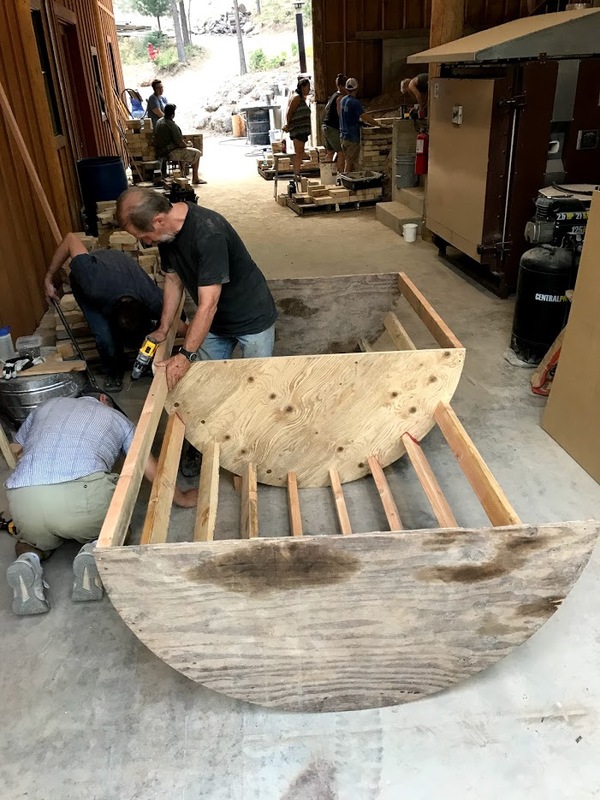 I'll mention more of Elliot as the summer evolves, but he's a remarkable builder, thinker, and worker. His collaboration with Scott highlight my first week of work. We find a rhythm and the subfloor stretches as far as our glue allows. Almost a finished subfloor, we rest in the midday heat. I'm amazed. 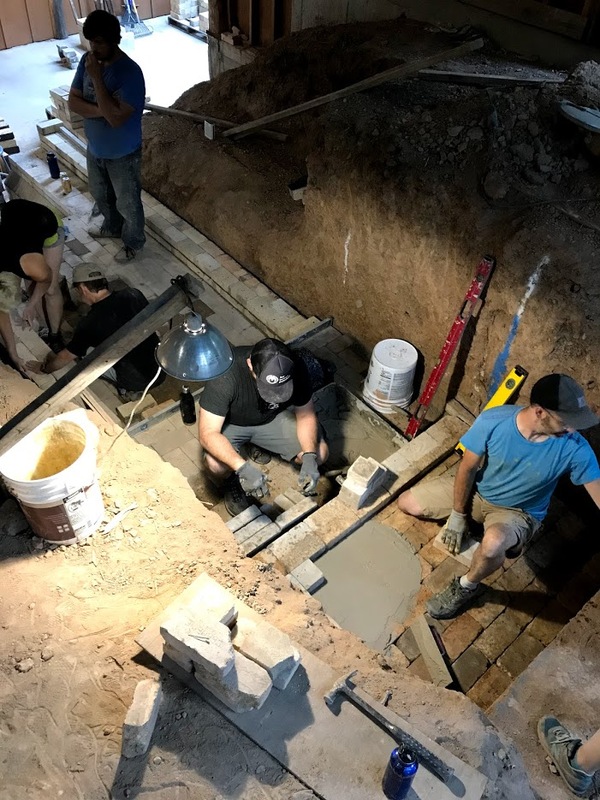 A small crews framed and raised a first floor in one week, yet more cripples and studs await this world class ceramics studio. 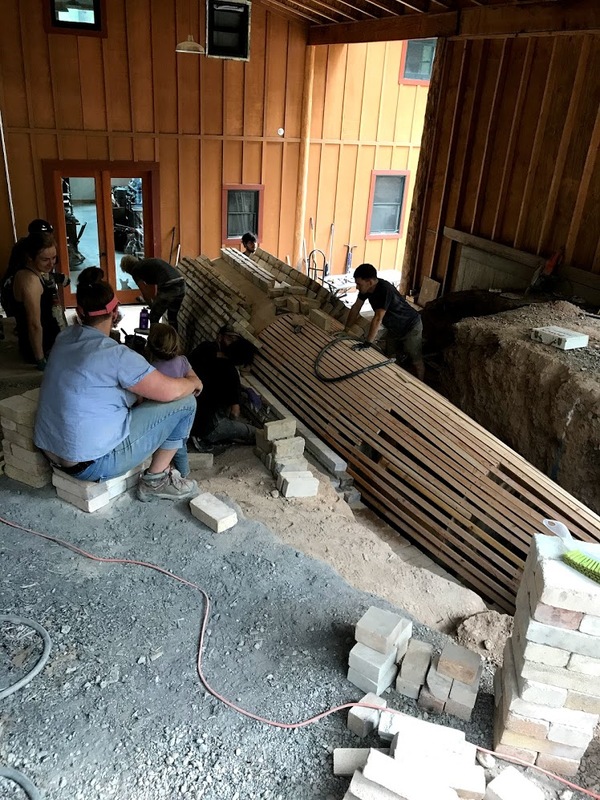 Between the hours of measuring, cutting, nailing, hammering, and leveling we eat amazing food, drink copious amounts of milk, conduct engaging conversations, and we've only just begun... Cobb Mountain Art and Ecology project cultivates the exceptional. A naturally inspiring space harmoniously nestled beneath the spruce, firs, and cedars. Cast out you line, turn your pots, and prepare for an engaging new environment. Something's happening off the 175.